why can't startups find designers? do consumers really feel emotional about brands? how do you define the value of design? blog birthday no. 2 + a giveaway! 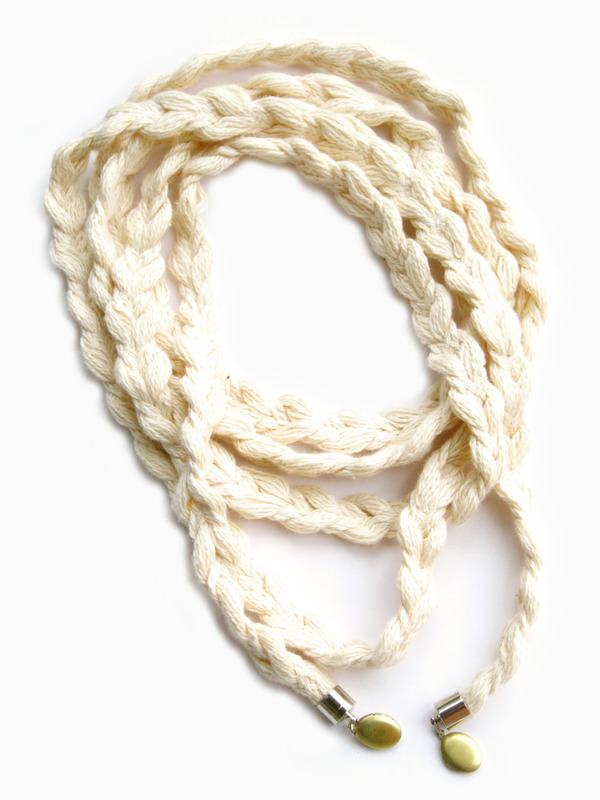 To celebrate, I am giving away this beautiful scarf necklace designed by my good friend, the talented, Melissa Clemente. It's one of my favourite pieces of hers this season. It's made of a very soft knitted yarn (100% cotton). It's the coziest kind of necklace to have on in the winter. To qualify to win: check out her website, follow her Tumblr or on Twitter and leave a comment and your email address below. You'll have until Friday, February 4th at 6pm to enter. The winner will be chosen at random. Good luck! ...And we have a winner! Congratulations Bryn aka Paperfinger! Thank you everyone for the well wishes and entering the giveaway!